The Apple vs. FBI fight might seem about one company granting access to the data on one device, but the legal implications of this case go far beyond that. The Federal Bureau of Investigation (FBI) has requested that Apple Inc. (Nasdaq: AAPL) provide a way for the agency to access data on an iPhone that belonged to one of the San Bernardino attackers, Syed Rizwan Farook. Believed to be inspired by the Islamic State, Farook and his wife attacked and killed 14 people in a Dec. 2 attack. The FBI is seeking access to Farook's iPhone 5 because it suspects the phone contains information that will shed light on the attack and whether anyone else was involved. But the FBI can't get past the iPhone's security. Specifically, the FBI needs to get around a password lockout feature that automatically wipes the phone's data after 10 wrong guesses. The FBI started out saying this should not be a big deal. "We Don't Want to Break Anyone's Encryption"
"We simply want the chance, with a search warrant, to try to guess the terrorist's passcode without the phone essentially self-destructing and without it taking a decade to guess correctly," FBI Director James Comey wrote in a Feb. 21 news release. "That's it. We don't want to break anyone's encryption or set a master key loose on the land." But Apple contends that complying with the FBI request would do exactly that. Public opinion is split on this issue. A Pew Research poll found 51% of Americans feel Apple should comply, while 38% say it should not (11% didn't know). Investors weighed in when a similar case in New York was decided in Apple's favor late Monday. Apple stock rose nearly 4% in Tuesday trading. Many casual observers have wondered why Apple can't meet the FBI halfway. Why can't the tech giant just create the code needed to hack Farook's iPhone, let the FBI crack the password, then destroy the code? That would give the FBI what it wants without sacrificing the privacy and security of millions of iPhone owners, right? Apple has been so obstinate in refusing to comply with the FBI request because it fears doing so will open a back door to all iPhones. And not just for law enforcement, but for the bad guys, too – everyone from snooping foreign governments to hackers out to steal personal financial data. 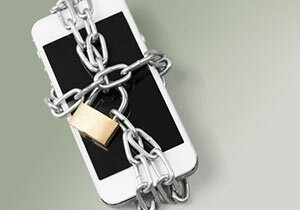 Like Pandora's Box, an iPhone backdoor, once opened, cannot be closed. This isn't just Apple's position. Virtually every cybersecurity expert agrees. "The privacy benefit right now comes from the fact that nobody knows how to do this. Not Apple, not the FBI, and we think not the NSA, though maybe they do," Andy Sellars, a lawyer specializing in technology issues at the Cyberlaw Clinic at Harvard Law School, told MIT Technology Review. "As soon as Apple does this, there's no way this wouldn't get out, be stolen, be leaked. There is no way that would stay a secret." Money Morning Defense & Tech Specialist Michael A. Robinson said the precedent the Apple vs. FBI case would set has implications not just for Apple, but for all tech companies. "On a technical/legal basis, [the FBI] has to prove that they're only going to gain access, somehow, to just one iPhone," he said. "The entire Silicon Valley technology industry is completely unified behind Apple… because they all see what could happen to all of their products – cloud, Big Data. This is the digital privacy issue of the early 21st century." Just about every major tech company has sided with Apple, showing support by filing amicus briefs with the court considering the Apple vs. FBI case. The list includes not just tech titans like Alphabet Inc. (Nasdaq: GOOGL, GOOG) and Microsoft Corp. (Nasdaq: MSFT), but also telecom AT&T Inc. (NYSE: T), chipmaker Intel Corp. (Nasdaq: INTC), social media companies Facebook Inc. (Nasdaq: FB) and Twitter Inc. (NYSE: TWTR), and younger techs such as Snapchat and Dropbox. "Our nation is literally being raped of its intellectual capital by economic espionage," Mike McConnell, a former director of both the National Security Agency and National Intelligence, told Tom's Guide. "We have to stop it. That's the higher calling of this [information-security] community, to build that capability." McConnell grew alarmed after leaving government for the private sector and finding widespread evidence of this cybertheft – what's known as "advanced persistent threats" (APTs). "In my post-government life, we never examined any computer of consequence on which we did not find an APT planted by the Chinese," McConnell said. McConnell sees Apple's resistance to the FBI request, and its determination to create unbreakable iPhone security, as a form of patriotism. "Apple is accused of making a marketing argument," he said. "They're in fact protecting the American manufacturing base." Part of the problem, too, is that the FBI's request is based on something called the All Writs Act – a law first passed in 1789. Those who wrote that a law could not have imagined the challenges of the globally connected Internet age 87 years before the basic telephone was invented. However the Apple vs. FBI fight is resolved, it's clear that Congress needs to address this issue. In a first step, a bipartisan bill introduced on Tuesday would create a "National Commission on Security and Technology" to start working out how to reconcile the needs of law enforcement with the need for strong cybersecurity. "We must find a way for physical security not to be at odds with information security," Judiciary Committee Chairman Bob Goodlatte (R-VA) said at a Tuesday hearing. "These cases illustrate the competing interests at play in this dynamic policy question – a question that is too complex to be left to the courts and must be answered by Congress." The Bottom Line: The Apple vs. FBI case is more complicated than it looks. Apple would rather cooperate with the FBI than fight it, but says that writing code to break into this one iPhone has huge implications for all iPhones, and cybersecurity in general. The tech community and security experts agree. What's needed now is for Congress to address the issue, since the FBI is relying on a law written 227 years ago.